Dreambaby® Premium Nail Clippers with Magnifier are a great tool for reducing the stress in trimming your baby’s tiny nails. 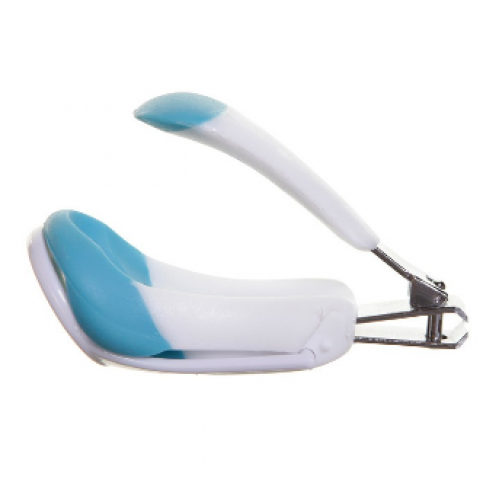 The magnifier allows for greater confidence and reduces eyestrain, and the handle is ergonomically designed to be easy and comfortable to use. Trimming your baby’s nails can be a difficult and uncomfortable task. They’re so tiny, and fear of accidentally clipping those tiny fingers can be hugely stressful for any parent. 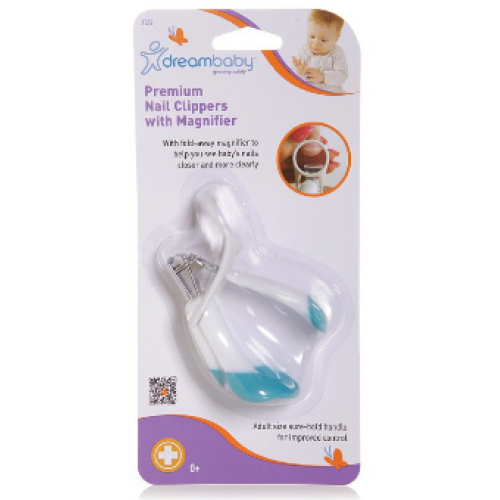 Made from top-quality long lasting materials, the Dreambaby® Premium Nail Clippers with Magnifier is a fantastic tool to reduce the stress in clipping your baby’s nails. Ergonomically designed handle is comfortable to hold and easy to use. 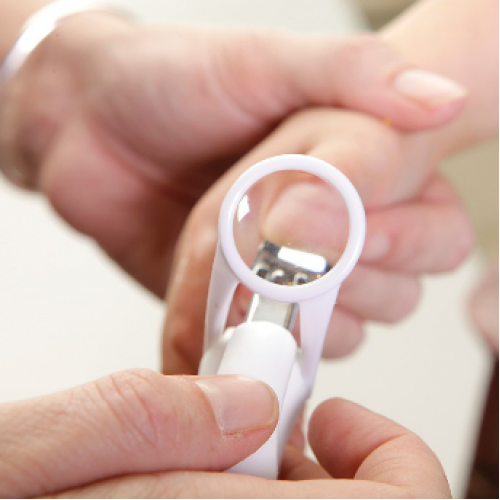 Movable magnifier is perfect for reducing eyestrain and for seeing those tiny nails with much greater clarity. Magnifier folds away for easy storage. Trimming your children’s nails is important for avoiding accidental scratches and developing healthy grooming habits.